A complete unit of lesson work, including vocab crosswords, vocab work, vocab match-up, projects, chapter questions, projects, and chapter tests. 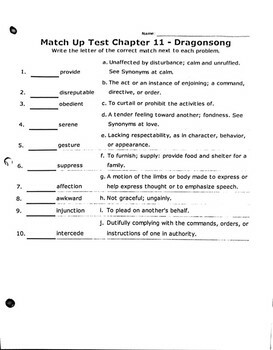 Each section includes answer keys. This complete bundle is in PDF format, and most is in Word format as well. This makes for easier printing and alterations. Note 1: This does not include a formal written lesson plan, so that you as the teacher can change up the lesson as needed. Note 2: This was used in a High School Special Education (mild to moderate) classroom. It can be easily modified for lower and higher level learners.